Why Advertise with Lake Country Family Fun? Lake Country Family Fun has a great following, great interaction with our visitors, and offers a great opportunity for making your business known among the families in the Waukesha, County and Metro-Milwaukee area. When considering advertising with a company, ask do they know your demographic? 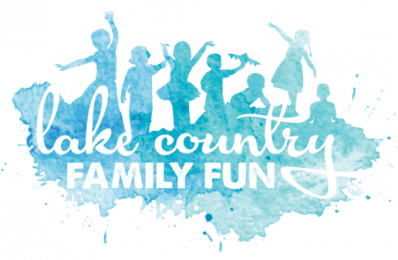 I can tell you that Lake Country Family Fun KNOWS your demographic if it is families and children in the Waukesha County area and Metro- Milwaukee area. Not only do we offer advertising through traditional social media and website promotion, we are also the founders of Hartland Kids Day, a wildly successful event that just completed its 6th year, which was the best yet! It is the largest kid and family-centric event in Hartland with thousands in attendance this past July. In our first year, LCFF had over 1,500 families and have grown exponentially since. We know how to make an impact where ever we go! Lake Country Family Fun strives to be your trusted, one-stop resource for local family fun in Southeastern WI. For our FULL Media Kit and Ad rates please contact us! We offer many different advertising options, inquire today! Such a wonderful resource for our community. You are the first place I check to stay “in the know” about what’s going on around town!